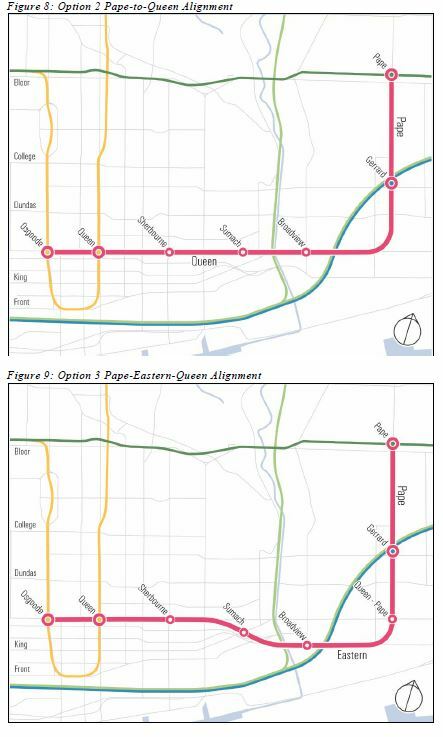 This article deals with the report Eglinton East LRT Preliminary Options Analysis which is before Toronto’s Executive Committee on June 28. It is part of a large package of transit proposals that have been discussed in several previous article in this series. The Crosstown East, as it is now known, was originally the Transit City Scarborough-Malvern LRT line. It had fallen off of the map as part of the Transit City cutbacks imposed by Queen’s Park, but was resurrected early in 2016 as part of the “optimized” Scarborough network of a one-stop subway to STC from Kennedy, SmartTrack service in the GO Stouffville corridor, and the LRT to University of Toronto’s Scarborough Campus (UTSC). With the recent announcement that the subway proposal will soak up more of the funding already earmarked for Scarborough than originally thought, the LRT line could be in jeopardy again. This would be quite ironic given that it was used as a sweetener to bring some members of Council onside with the one-stop subway plan. Indeed the LRT provides the majority of the benefit in the “optimized” scheme through its many stops close to residents who otherwise would not be on a rapid transit corridor. 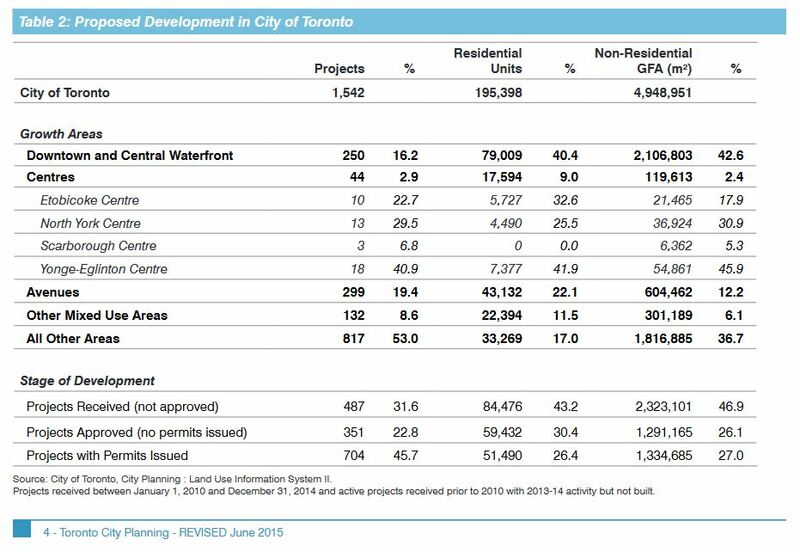 The package would not look as good for many of Toronto’s planning goals if the LRT line were omitted, but by bundling the stats, subway advocates can make the subway appear better than it would be on its own. 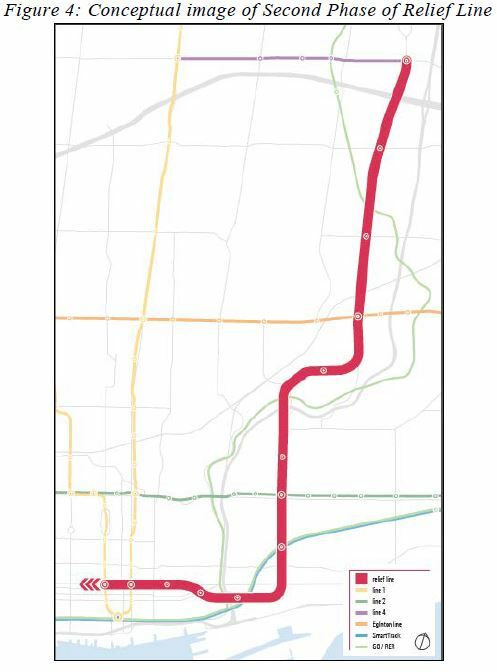 Of the reports before Council, this is the simplest of the proposals in that the options to be reviewed are quite similar differing only in whether the line would end at UTSC or continue north to Sheppard. The latter option dates from a time when it would connect to the Sheppard East LRT and a proposed carhouse at Conlins Road. Such a connection remains possible if Queen’s Park ever overcomes its aversion to LRT on Sheppard (or more accurately, its aversion to telling the Scarborough Liberal Caucus it will never see a subway extension there). This article continues my review of the reports going to Toronto Executive on June 28. I will pick up the thread again just before the whole things winds up at Council in July. 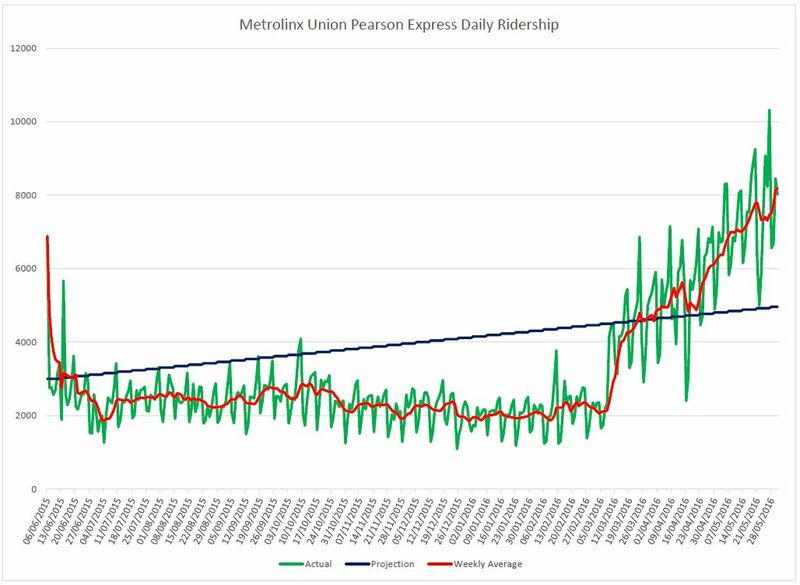 This is the fourth part of my review of the reports on the agendas of Toronto’s Executive Committee and the Metrolinx Board. The full list is in the first article. This report reviewed here is the Relief Line Initial Business Case. 2A: Relief line from Pape Station to downtown running diagonally from Gerrard to Queen via the GO rail corridor. Future extensions to the north and west are also contemplated, but this “Business Case” report deals only with the first phase. As the route selection process evolved, so did the scoring system used to rank the options. For example, the employment benefits of the Unilever site were not considered in earlier schemes where a Queen Street alignment all the way from Pape to University ranked highest. By the time we get to the “final” ranking, the Pape/Eastern/Queen alignment clearly wins out. Some of the change is due to the use of the City’s “Feeling Congested” evaluation matrix that has been brought to many of the recent studies. The priorities of these evaluations are more weighted toward social and city building benefits, and less to raw travel-time saving. Relief to the Bloor-Yonge interchange is projected, although the larger benefits occur when the line is extended north to Sheppard & Don Mills. Notable by their absence are SmartTrack and the Crosstown East LRT to UTSC, and the Scarborough Subway is presumed to be the 3-stop version to Sheppard Avenue. Considering that the configuration of the “optimized” Scarborough network changed some months ago, the use of an out-of-date model is surprising. The projected cost of the Relief Line has been widely reported as almost doubling. This is misleading because it contrasts current 2016 dollar estimates ($4.1 to $4.4 billion) with projected spending when the project is actually constructed sometime in the late 2020s or beyond. Earlier estimates have been quoted in older dollars at correspondingly lower projected total cost. Of the increase, $300-400 million is due to the selection of the Pape/Eastern alignment which makes for a longer route. Roughly $2 billion is due to inflation between the 2016 estimates and the likely period of construction. An interesting observation in the report is that the benefits case methodology confers a substantial value to reduction of travel time. However, the RL’s primary effect is not intended to speed riders from the outer suburbs to downtown, but to improve flows through the network, especially on the initial downtown-to-Pape phase. Therefore, a significant component of some “benefit” estimates – travel time savings – is not available to the Relief Line despite the major contribution it brings to network behaviour and the expansion potential it creates. This begs the question of whether the traditional “benefit analysis” which does contain a travel time saving component truly presents the “value” of new transit lines, or if it is skewed to reward projects serving longer commuter-type trips and the infrastructure they require.